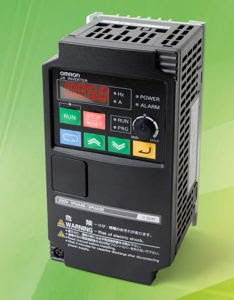 Omron JX drive is the starting series in Omron range of VFD. The starting Rating of Drive is from 0.4 KW and available up to 7.5 KW. This drive comes in three different variations as 3 phase 200VAC model and 3 phase 400VAC model . It also have 1 phase 200VAC output Model . 3G3JXA2002 -- A2002 depicts that it has 200VAC 3 phase output and rating is .2kw. You Can download the Manual , Datasheet and Catalogs of JX drive from below.